The Fully Engaged and Pre-Cana Session are required in order to be married at Sacred Heart Cathedral. Fully Engaged is an inventory that will help as a communication tool in your marriage. After taking the inventory and it is processed, you will meet one on one with the Deacon, from your wedding intake, to discuss the results. To sign up for a session, please call the Cathedral Main Office at 585-254-3221, ext. 104. All sessions are held on Sunday afternoons, from 12:45-1:45 in the Cathedral conference room. Follow up dates are scheduled on the day you take the inventory. 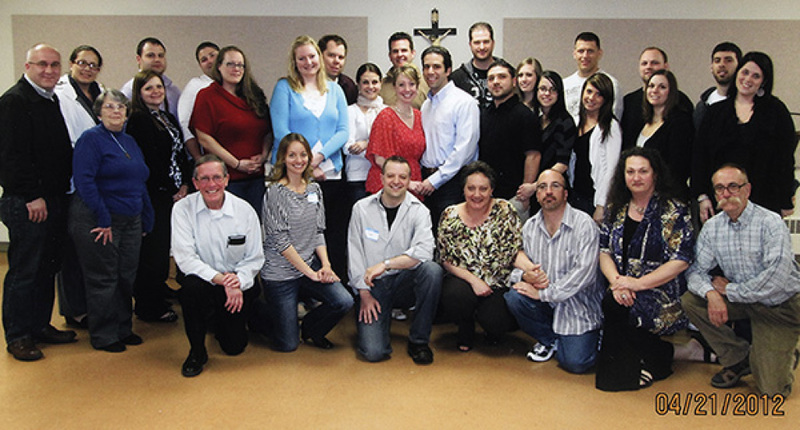 Pre-Cana is a parish-based marriage preparation program offered to engaged couples. At the session, mentor couples facilitate discussions on topics concerning Catholic Christian marriage. Pre-Cana sessions at Sacred Heart Cathedral are scheduled on and Saturday, April 6, 2019 and Saturday, October 5, 2019 from 9:00 am – 6:00 pm, includes Mass at 4:00 pm. Since space is limited, please register early. The non-refundable registration fee is $75.00. Registration can be done in person at the Main Office, Monday-Friday from 9 am - 4 pm or by mail to the address below. Please make checks payable to “The Cathedral Community.” Fee is due at the time of sign-up. For couples of wedding's being held at the Cathedral, please call Michele Kelly at Church Office, 585.254.3221, x104 to register. For others, please consult the listing on the Diocesan website. For married couples interested in being a part of the Pre-Cana Team, please contact Peggy Kershner at 585.254.2445.